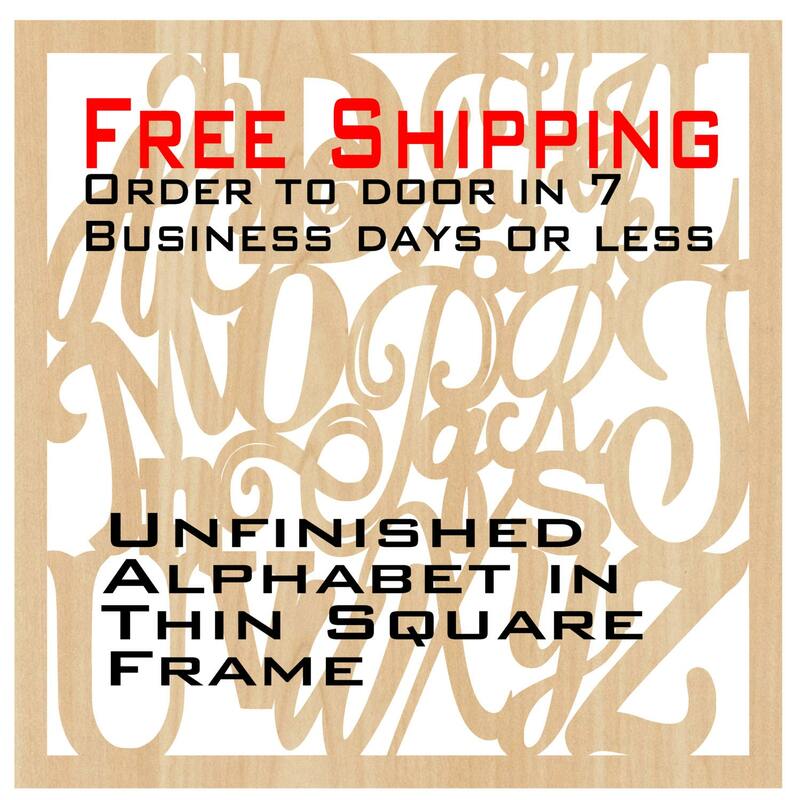 This listing is for FAST FREE SHIPPING of a laser wood cut Alphabet in Thin Square Frame...from order to door in 7 business days or less (Shipping Policy #4) for all items delivered within the continental US. 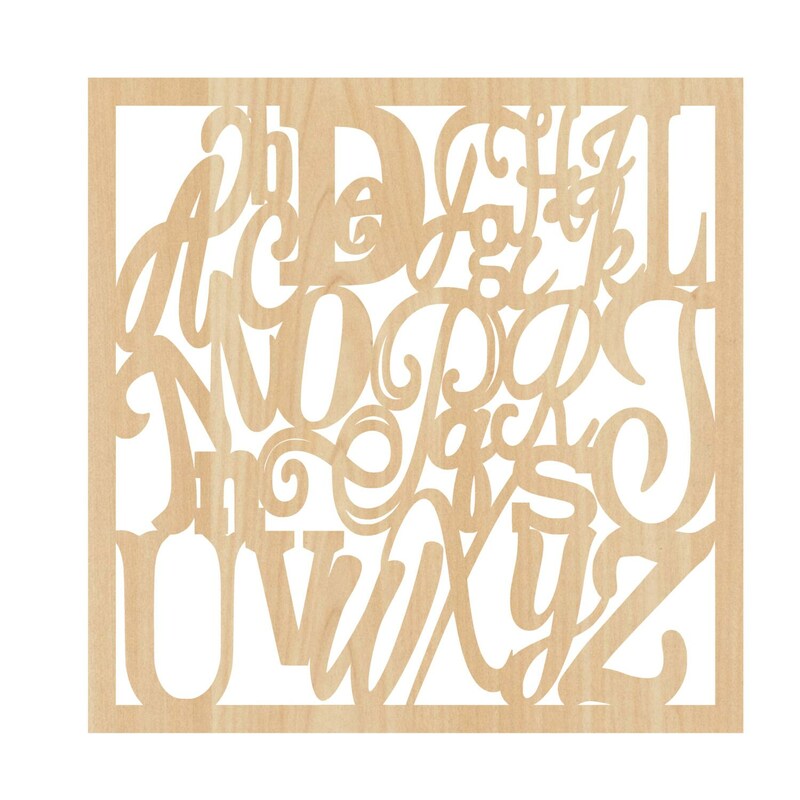 (Orders to Alaska and Hawaii will have an additional $12 shipping and can take 3-4 days longer. Please convo me for a private listing to these areas.) 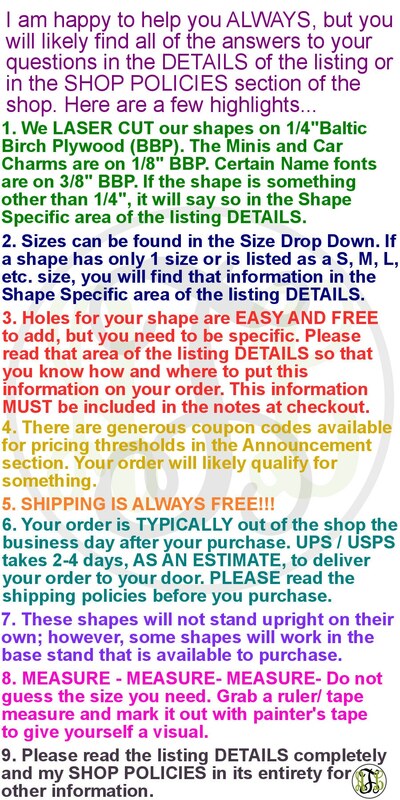 You will receive a tracking number once your items have shipped. We ARE NOT responsible for UPS/USPS/FedEx delays in shipping. Should you have concerns with regard to your package shipment timeline, please direct your inquiries to UPS (1-800-742-5877) / USPS (1-800-275-8777) / FedEx (1-800-463-3339) and let their experts help you. 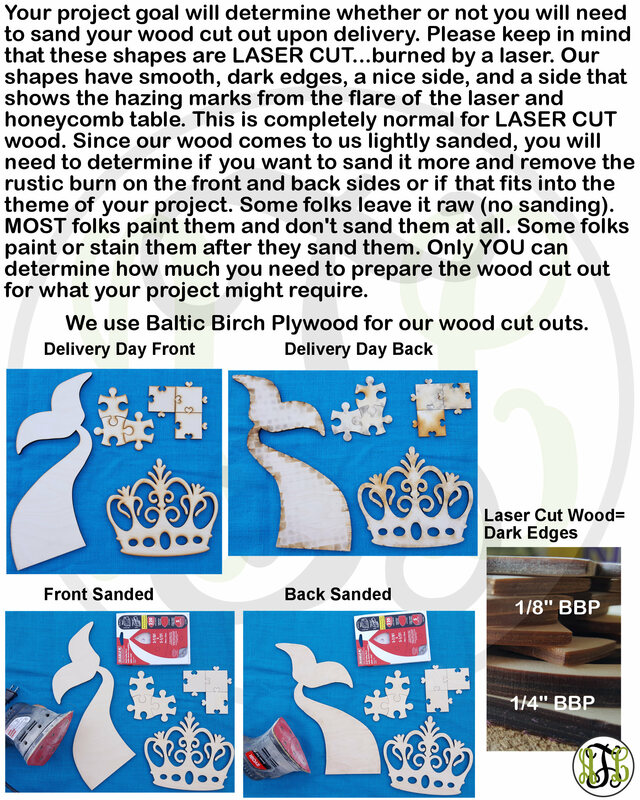 We are certainly not the expert in their business, so we will always defer to them to answer their shipping questions.